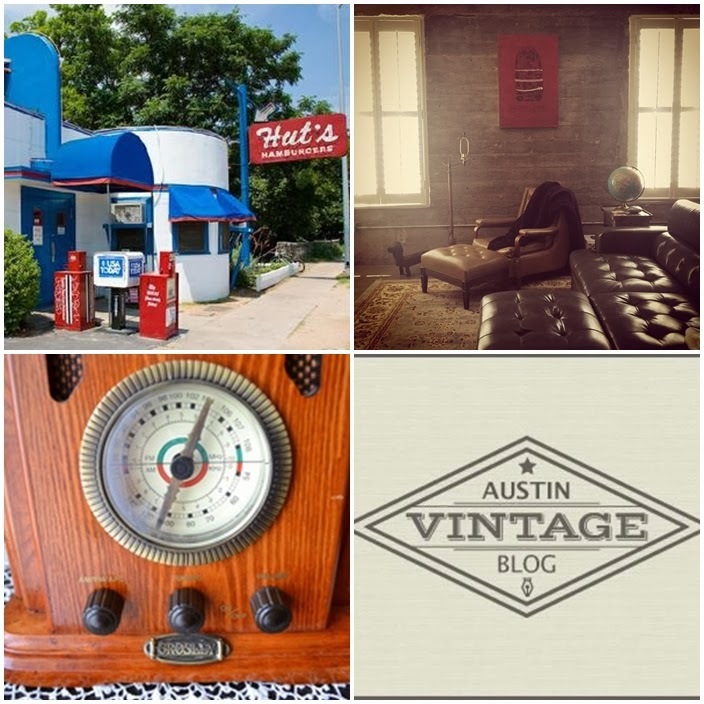 Melinda shares her vintage finds, places to visit I love her post on Vintage Burger Joints to visit and her roundup of estate sale companies in Austin. Lady Eve Millinery is a returning sponsor this month. Lady Eve is owned by Amy Koch, a milliner who makes vintage inspired hats using vintage techniques. This summer, Amy launched an incredible line of straw hats but now that the weather is cooling down, she's been inspired by cozy wool and jewel tones. Amy has been working a lot of classic elements into her fall/winter designs. I 'm loving the over-sized 40s style bows and feather accents. If you love millinery eye candy as much as I do, be sure to follow Lady Eve Millinery on Pinterest! Many vintage lovers were sad to hear about the closing of the Vintage Life Network but don't fret- join Vintagers! 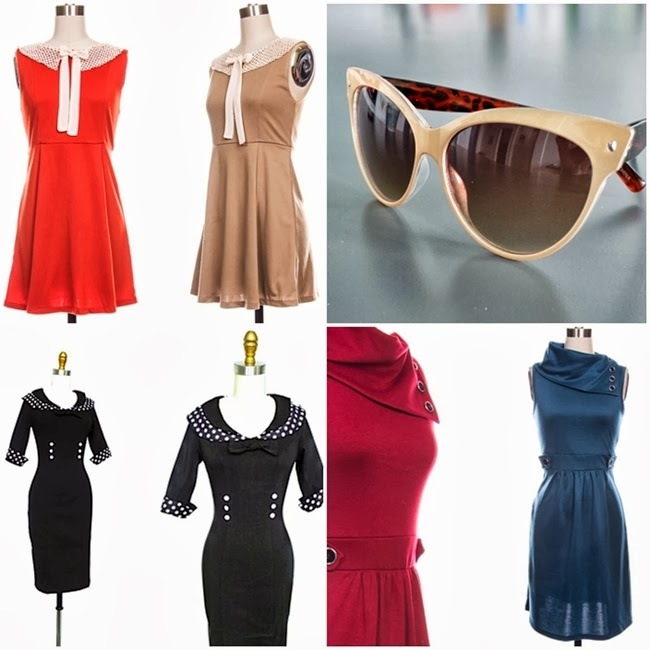 Vintagers is a new online community for all things vintage with some fun new tools. Make Friends- Join the community and make friends with other vintagers! I love those hats from Lady Eve. Beautiful! She is so talented! I love that she uses vintage techniques in her hat making too- stunning! Oh, I'm an Austinite and had no idea about the Austin Vintage site! Thanks for sharing! 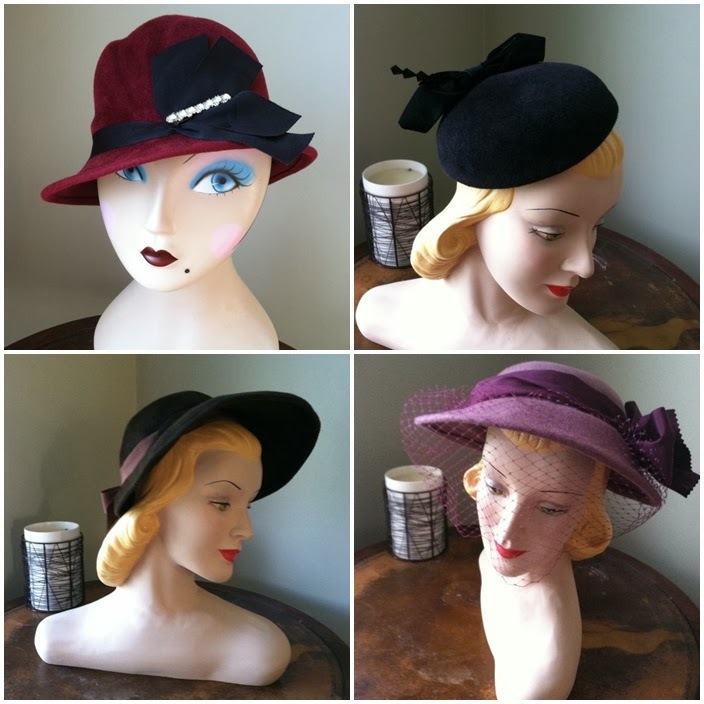 Lady Eve's hats are flat out stunning! How awesome that she's one of newest sponsors.